The first rule of Fight Club is: Warner Brothers may send you a “cease and desist” letter if you do something Fight Club related. 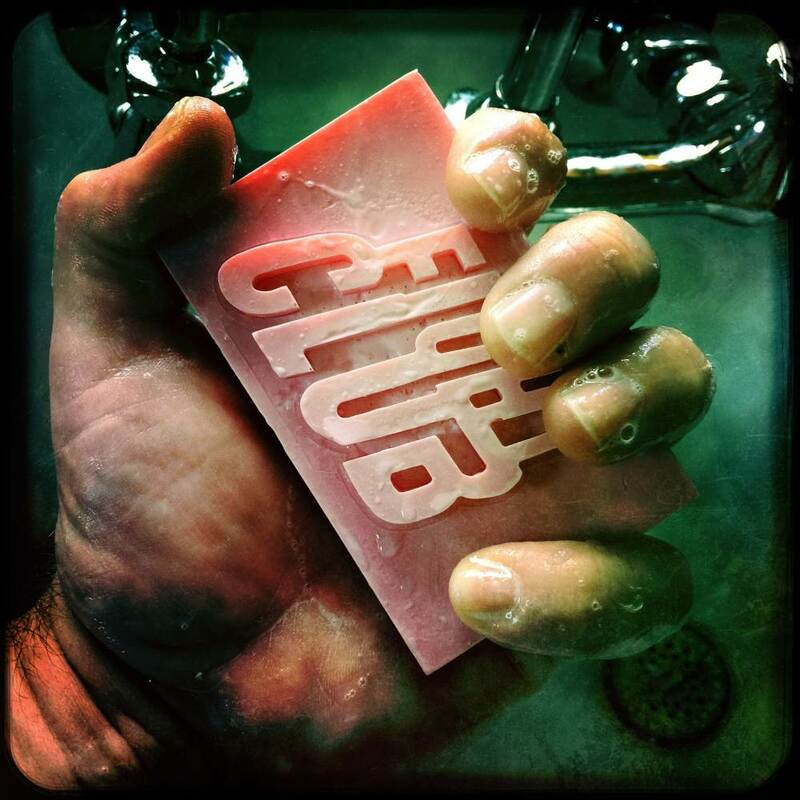 One of the commentariat emailed me asking about fight club soaps, and it inspired me to do a resin cast in one of my fight club molds. I partially swirled the pink/white pigment into the resin to make it blobby, then soaped up my hand with detergent (lots of bubbles!) and shot this with hipstamatic. Total time: 15 minutes start to finish. You know who: look for a box in the mail soon.